Welcome to the Happy Ski Resort, where fresh powder, groomed runs, multiple trails, and state of the art facilities await! We Ski? 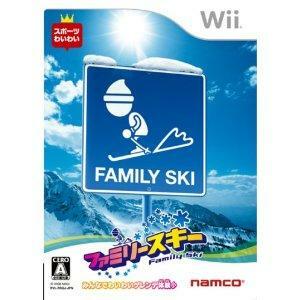 takes you down the slopes in the most exciting skiing game to hit the Wii?! Grab your Wii Remote? and Nunchuk? or step onto your Wii Balance Board? to execute perfect wedge stops, shred the slaloms, and negotiate moguls with ease. With an in-depth Ski School and over a dozen lengthy runs packed with jumps, races, and more, you and your friends won’t want to leave the slopes again!